Kevan and Deborah (Kev and Deb) got married and had their reception at the stunning Birtsmorton Court in the Worcestershire countryside. A 12th century house with it's own moat, accommodation on site, acres of grounds and formal gardens in view of the Malvern Hills, this really could be the perfect wedding venue. Deb and the bridal party got ready at the venue, first in the Garden house (a beautiful stand alone house within the grounds) and then the bridal suite in the original house. 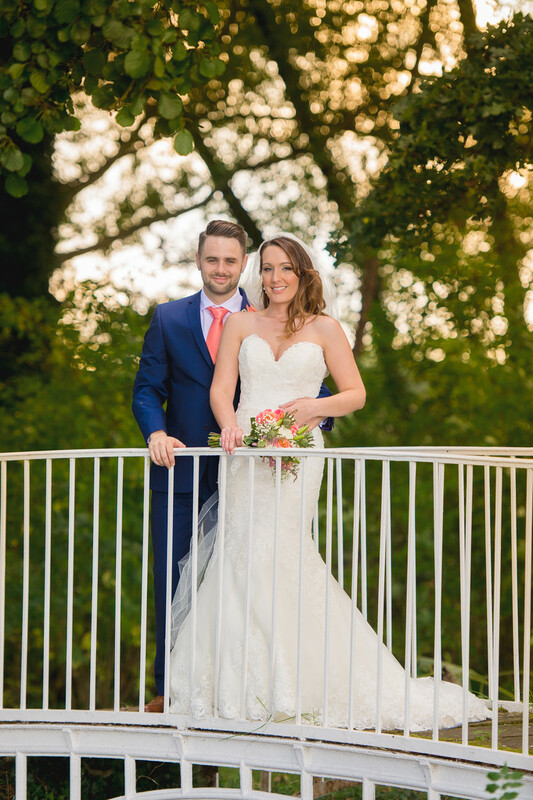 After their wedding in Birtsmorton Court Church, the couple enjoyed a drinks reception on the terrace which overlooks the moat, lake and some of the Court's magnificent grounds. 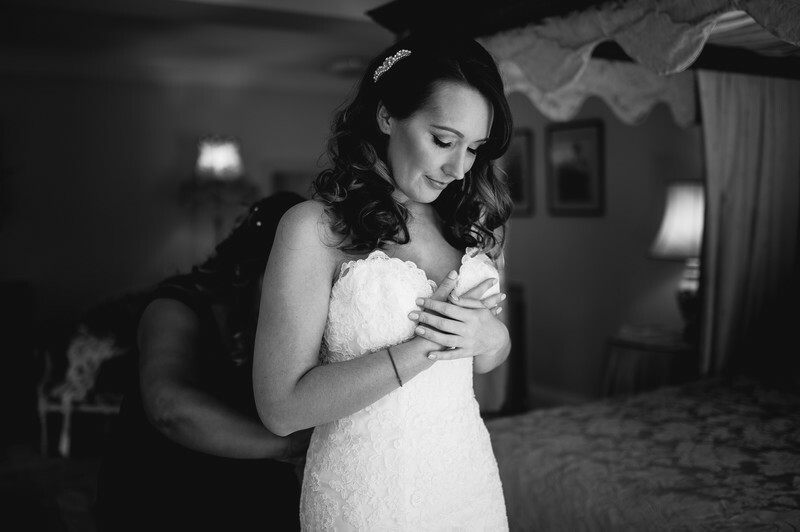 Birtsmorton Court has so many locations for taking beautiful wedding photos, you could really spend all day there and still have scope for more images! We started off taking photos inside the White Garden, a small private garden built around a small fountain that's accessed through a maze of perfectly trimmed hedges. We then decided to take a short walk to the lake, with the view of taking some wedding photos on the bridge. On the walk there however, Deborah's veil kept blowing into her face which was making the going difficult. 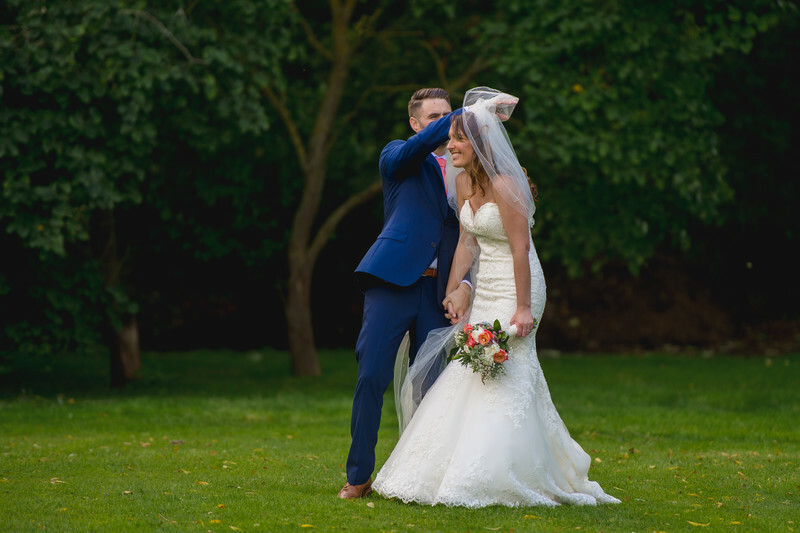 Kev, showing his gentlemanly side, stopped and moved the veil back out of his wife's face - ever the romantic, Kev managed to do this whilst still holding his bride's hand!